Being benighted might sound like a novel experience to many outdoorsman; a rite of passage of sorts. For a long time I romanticized the scenario: I’d be out in the mountains, climbing or hiking, when I misjudge time and suddenly find the sun setting on me. I’d be effortlessly calm and collected- build a roaring fire within minutes- and construct a cozy lean-to complete with a pine bough bed. I’d wake up in the morning and emerge onto the trailhead triumphantly, with messy hair and self-assured smile. Later, when I actually was benighted far in the remote bush of central Africa, with lions and hyenas in the neighborhood, the experience was far less charming than my previous fantasies. exaltation at the challenge, but simply dread. The realization that I would be forced to spend the night alone there, was utterly daunting. As I watched the last sliver of sunlight disappear on the horizon, a cold clammy fear crept on me. With that primal fear, came an uncharacteristically sudden action: I rushed to make a fire as fast as I could; luckily, I had brought a lighter and fire starting material with me. The blaze I soon had roaring rivaled the first successful fire Tom Hanks created in Castaway. The entire night, I was comforted by the security blanket of illumination and radiant warmth that our primal ancestors felt sleeping in saber-tooth tiger country; though my sleep was understandably patchy. I survived the night, and though I was glad I experienced the unexpected challenge- I was even more relieved to have been done with it. 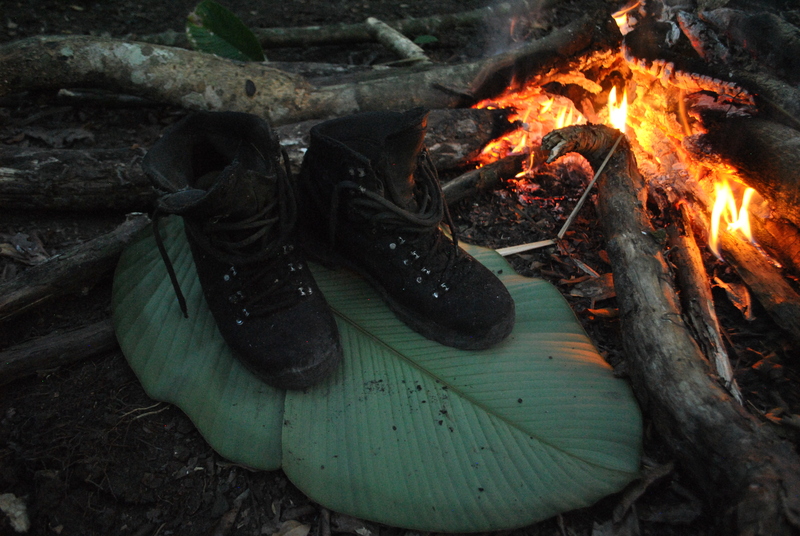 Wherever you head out into the wilderness playgrounds of the world, always be prepared for an unexpected night there. At only a couple ounces and inches, packing a lighter and space blanket is a good place to start.